We live in a very judgmental society, especially when it comes to proper grammar and spelling. 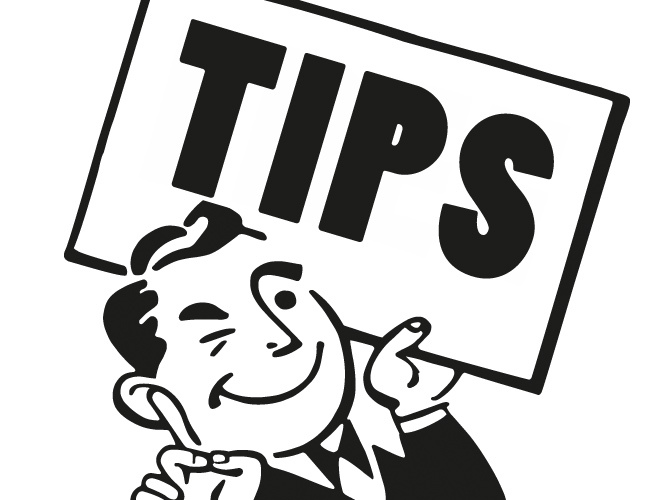 Many people are quick to assume that someone is incompetent or lazy if they spot a grammar or spelling mistake. The fact of the matter is that poor writing and grammar is an epidemic. The vast majority of our population has atrocious grammar. Even highly intelligent people may use “your” when they should have used “you’re.” You see it all the time, and it doesn’t seem like things are getting any better. However, there is one company that is attempting to cure the poor grammar epidemic. Grammarly says it has over 3 million registered users, 50 employees, and partnerships with over 600 universities. Display advertising has helped fuel this growth. Today we’re going to look at how Grammarly spends millions on display to help drive subscriber growth. Grammarly has a very sound display strategy that encompasses standard banner ads, native ads, and even pre-roll video ads. If you’re at all interested in seeing a very sound display strategy, you’ll definitely want to keep reading. Grammarly has spent an estimated $2,274,816 on display over the past six months. They have allocated the majority of their ad spending on Google Display and Taboola. 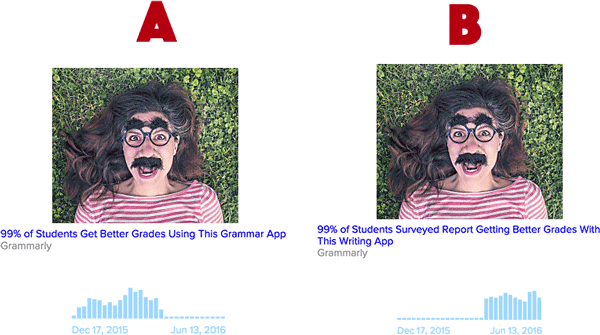 Grammarly is A/B testing creatives on both standard and native display networks. 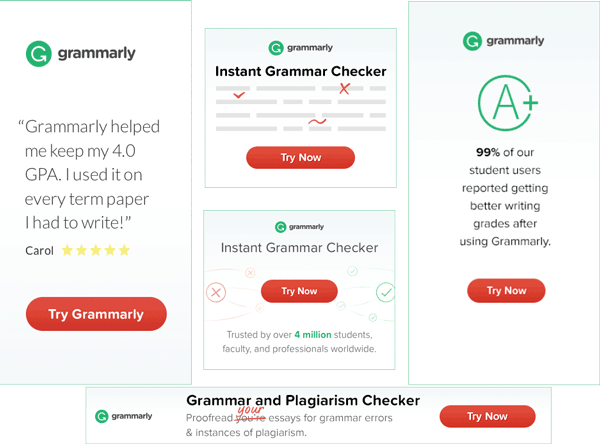 You’ll notice that Grammarly uses a lot of social proof and testimonials in their ad creatives. Some of their ad creatives are just one big testimonial and a call to action. Both of these creatives are similar. The only difference is a slight change in the copy. Why might creative B be working better than creative A? The phrase “…surveyed report” adds authority. It gives context behind the “99%” number, even if it does not mention the specifics behind the survey. You probably think of high school English. And if you’re like me, you probably paid little attention to grammar. Grammar is boring. Therefore, the word “grammar” has a negative connotation to it. Conversely, the word “writing” has a nice connotation to it. Writing is creative, fun, and cool. Grammar is dry, boring, and evil. Grammarly also runs massive amounts of pre-roll ads on YouTube. 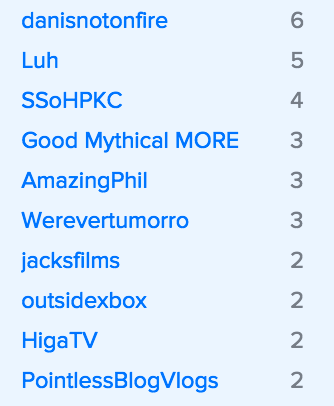 It is currently running three different videos targeted at three different audiences. You’ll notice that these channels are related to topics that a college student might be interested in. This includes tutorial videos, science and math videos, TED talks, and other educational channels. 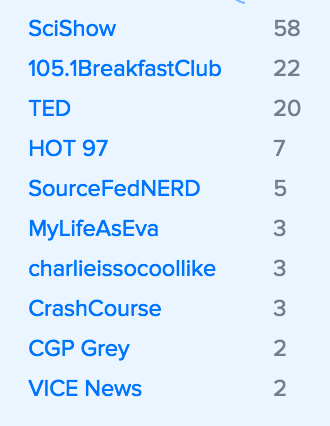 For example, CrashCourse is a channel that offers various tutorials on topics like physics, history, math, and more. 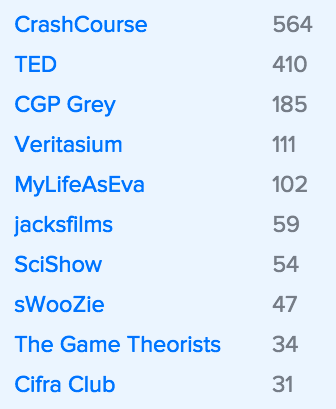 You’ll see that these channels are a bit more general. They are targeted at a different audience, which is likely slightly older and no longer in college. 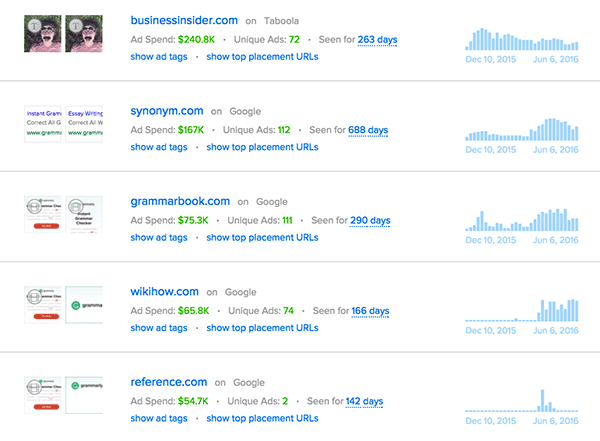 Grammarly uses a mixture of contextual targeting (placing ads on sites directly related to the product) and demographic/psychographic targeting (placing ads on sites to target specific demographics/psychographics). The best example of demographic/psychographic targeting here would be businessinsider.com. Business Insider’s content has nothing to do with writing or grammar. However, Grammarly could be useful to many of its readers. We can assume that the people reading this article are probably parents, high school students, or grad students looking at colleges. What do you need to do when you apply to college? Write essays! And what happens if your essay is full of errors? You don’t get accepted! 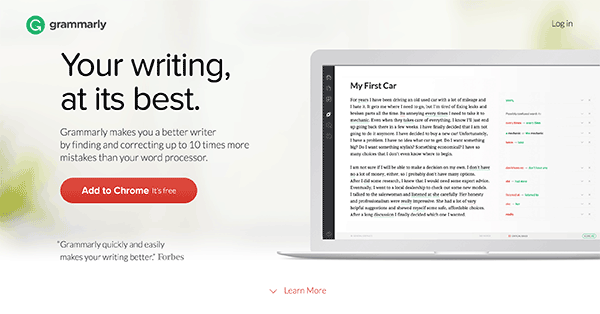 The copy and design of Grammarly’s main landing page — its home page — is quite good. First, the headline and subheadline are quite simple. The subheadline contains a direct benefit (it makes you a better writer). Second, “it finds 10 times more mistakes than your word processor.” This is an important piece of copy because it adds a slight element of fear. 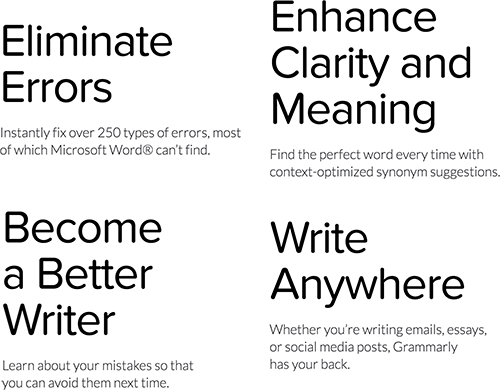 Many people blindly trust programs like Microsoft Word to fix all of their mistakes, and now Grammarly is telling them that those programs are missing their errors. You’ll also notice that it includes a big, red call-to-action button to add the extension to Chrome. And the first section above the fold includes a short blurb from Forbes (authority). The middle of the landing page contains little blurbs with direct benefits. These pieces of copy cover pretty much anything that any one person could ever need when it comes to a grammar correction service. Neither of these people are famous. Yet, the fact that one of them is a journalist and the other is a “writer” is good enough. Grammarly has transformed a grammar app into a community. You’re not just downloading an app; you’re joining a community. Plus, they include another big, red call-to-action at the end. Many people forget that their users will scroll down to the end and then wait to be told to do something. Tell them what to do. There’s a lot that a display advertiser can learn from Grammarly. 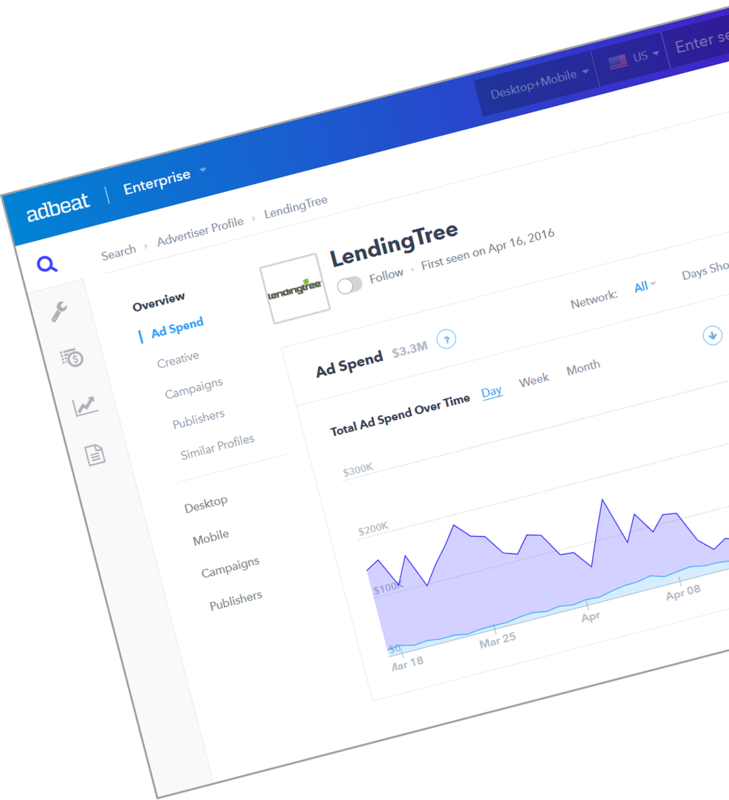 They have a sound strategy that includes a very good landing page and a fair amount of A/B testing of different ads, publishers, and placements. I actually converted on this just a few weeks ago from a Youtube ad. I’ve found Grammarly actually to be pretty good! Yeah, pre-roll ads can work really well. Grammarly is a pretty solid piece of software! another Great “case study”. Getting lots of ideas , as I see the thinking behind what the Big Boys do. They should target people learning English too. Whoever coined the “ad creative” term of art needs far more help than grammarly can possibly provide. What I find astounding is that they are spending these huge sums of money advertising a product that isn’t even that effective, especially when it comes to finding the types of mistakes made by non-native English speakers (or “English learners” as Grammarly calls them in one of their ads above).